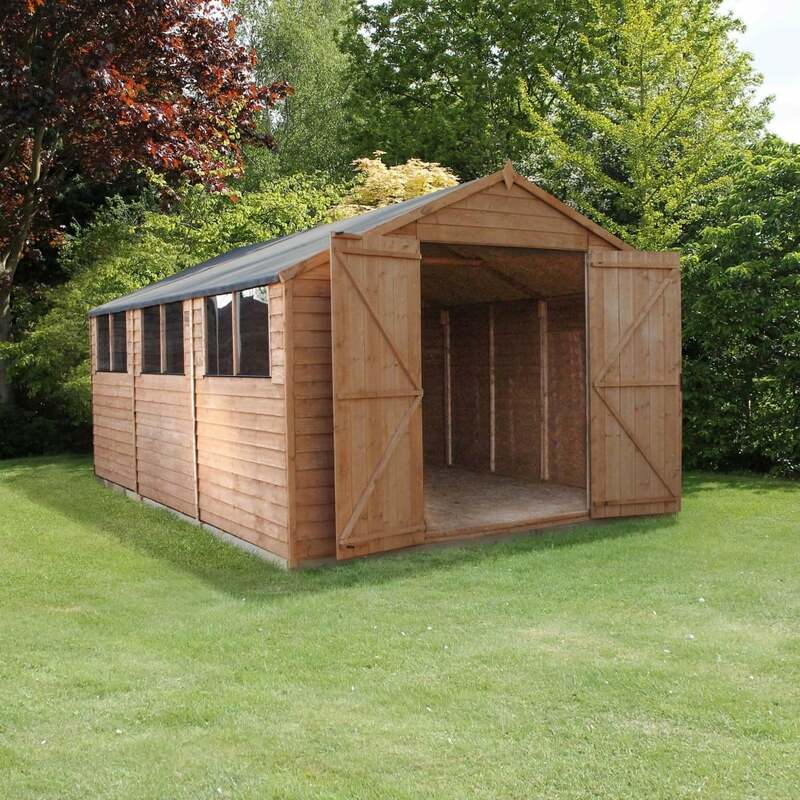 Mercia 15 x 10 Overlap Apex Workshop Double Door: The Mercia overlap workshop is a perfect family size building for storing a large quantity of garden items such as lawn mowers, bicycles or barbeques. The 15 x 10 Mercia apex workshop features 7mm overlapping square cut cladding enables the water to run off the building and braced double doors for extra strength. The traditional apex style Mercia workshop includes six fixed shatterproof styrene glazed windows to provide plenty of natural light to filter the interior of the building. The Mercia workshop is supplied shed felt and FSC certified timber and is delivered flat packed for easy self-assembly.